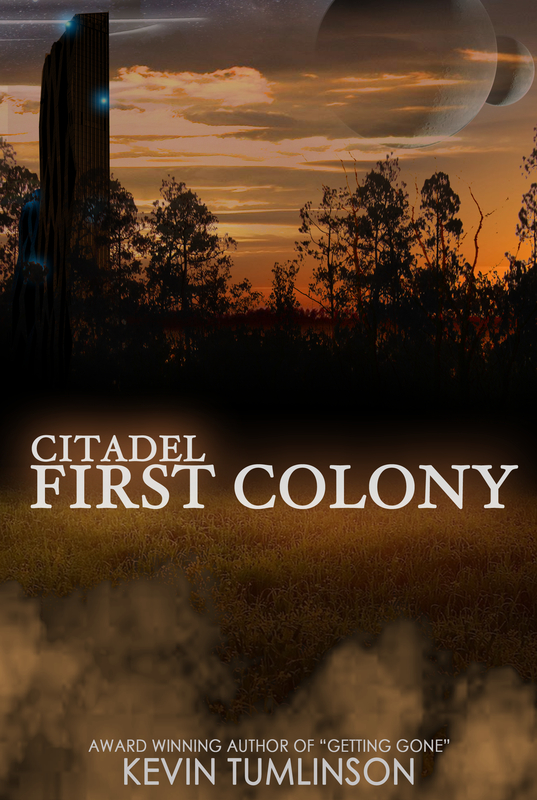 Humanity has moved forward in many ways in Citadel: First Colony; however, some things remain the same. Humans have taken to space and colonized other planets. But, when the crew and colony of the Citadel crash-land on a planet, they discover that humanity hasn’t let go of all of their biases against others. Fear and hate of their alien leader, class distinctions, and a saboteur among them breeds discord at a time when working together is the only way to save their lives. If the people of the Citadel are to stay alive, they must move past their prejudices, but there are some who would rather that didn’t occur. And a man with a hidden past may just destroy them all. Kevin Tumlinson had me hooked on Citadel from the very start. This is the first in a trilogy, and I am excited to start the next book. This book was full of intrigue, and it kept me guessing until the end about who the saboteur was. The characters’ behavior in their situation was very realistic, despite that their situation was on an alien planet in the future. I loved the characters in this book. The wise alien, Somar, and the intelligent, perceptive Thomas really made the book for me. The occasional funny lines that pulled a chuckle out of me also helped. Although the book didn’t end on a cliffhanger, the epilogue left me yearning to read the next book. I think this is a book that readers will enjoy because of the characters and the plot, whether they typically read sci/fi or not. I definitely recommend it!